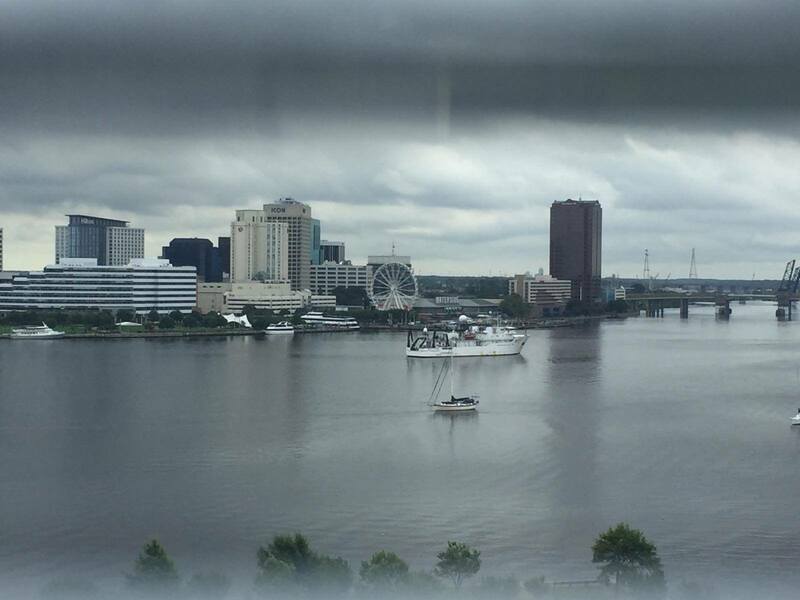 We returned to Norfolk this morning and successfully completed our expedition! 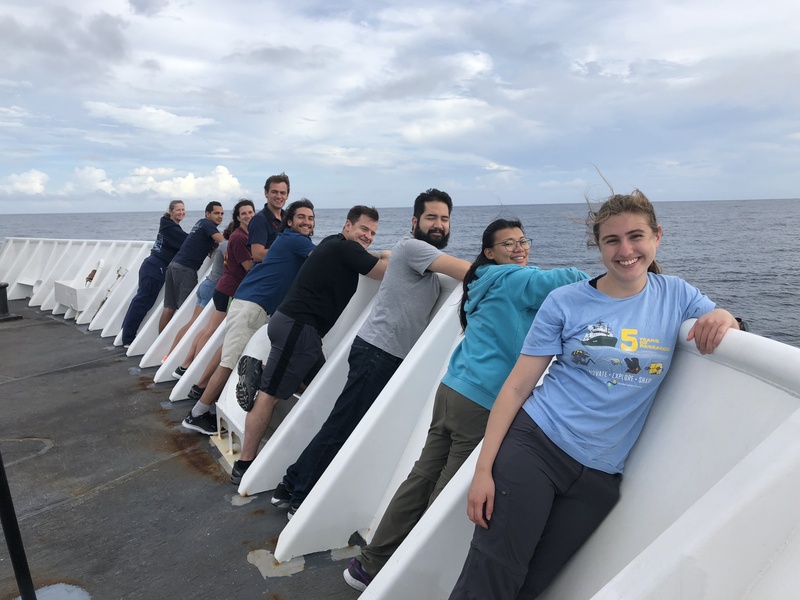 It is definitely bittersweet to be concluding our work at sea since our team aboard the Okeanos was comprised of such wonderful people. We grew to be really close and truly enjoyed each other’s company. 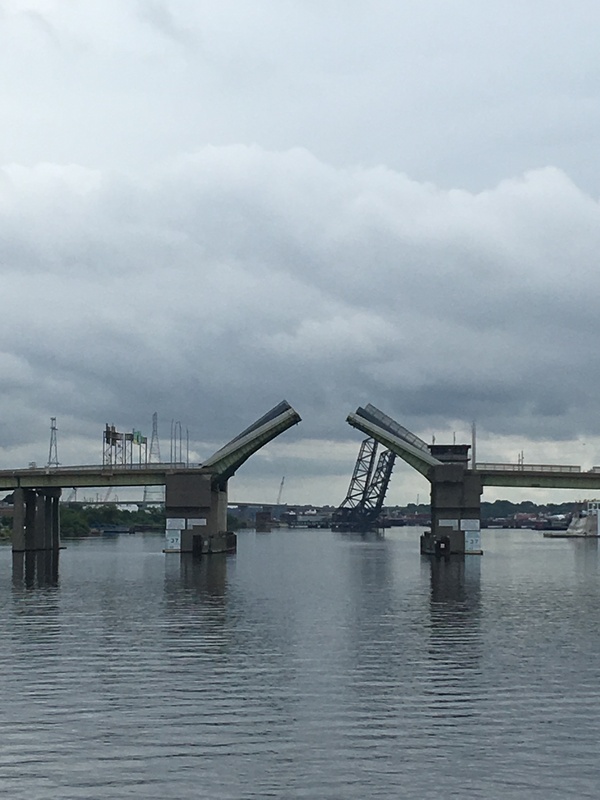 Headed under the draw bridge on our way to the shipyard. These past couple weeks at sea have been an incredible experience and I am excited to share what I have learned with the Peddie community. 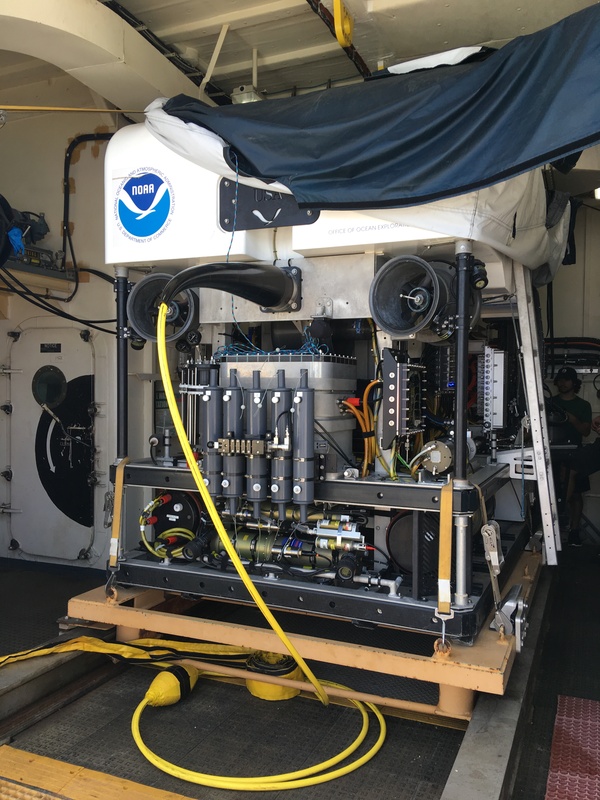 Being aboard the “America’s Ship for Ocean Exploration” and mapping a region of the seafloor that has not been studied yet was a very exciting opportunity as both a scientist and educator. I plan on creating and teaching a Marine Science elective during the Spring of 2019. 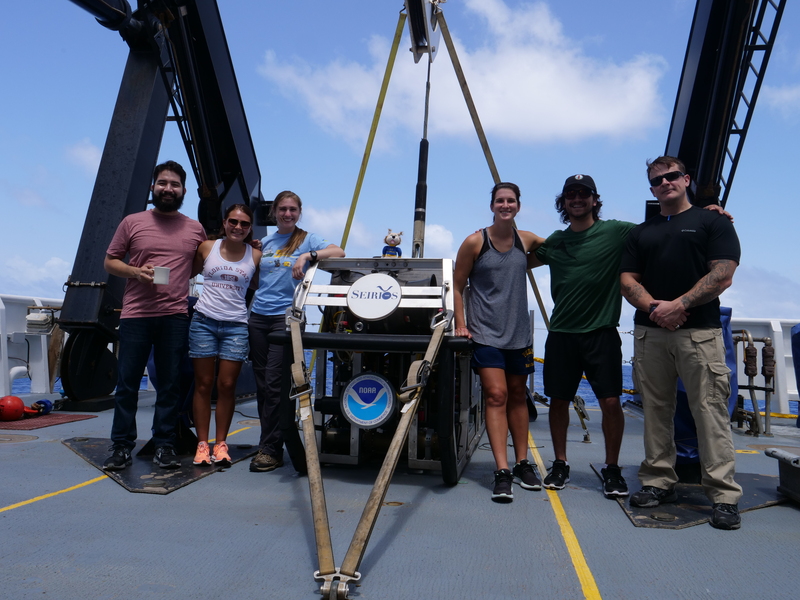 Data collected from the expedition will be utilized to design classroom activities, laboratory experiments, and cross-curricular materials that directly relate to the research completed. Students will understand the importance of exploration and be encouraged to discover, inform, and educate others about the ocean. 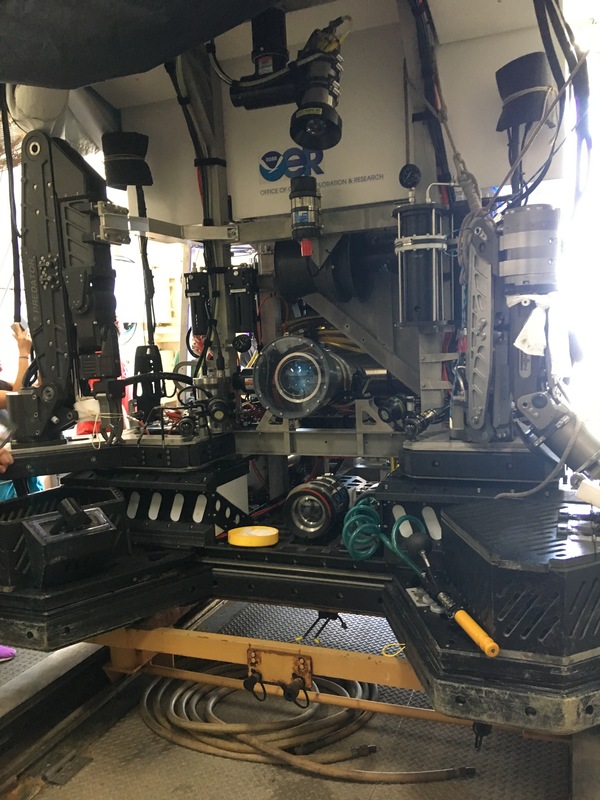 Since the Okeanos is equipped with telepresence capabilities, I will be able to stream seafloor images, ROV dives, and interviews from sea in my classroom. 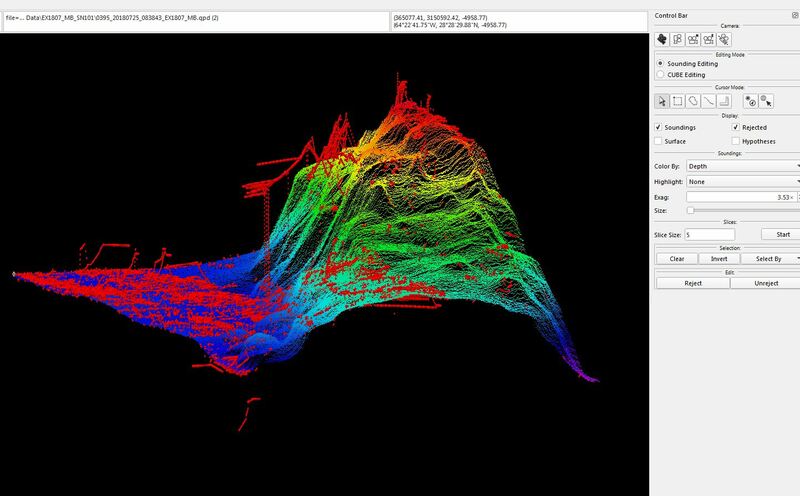 Having students directly engaged with those completing research in real time will enable them to make associations between the ocean and their local ecosystems to put the research into context. I really enjoyed meeting everyone aboard and listening to their stories. 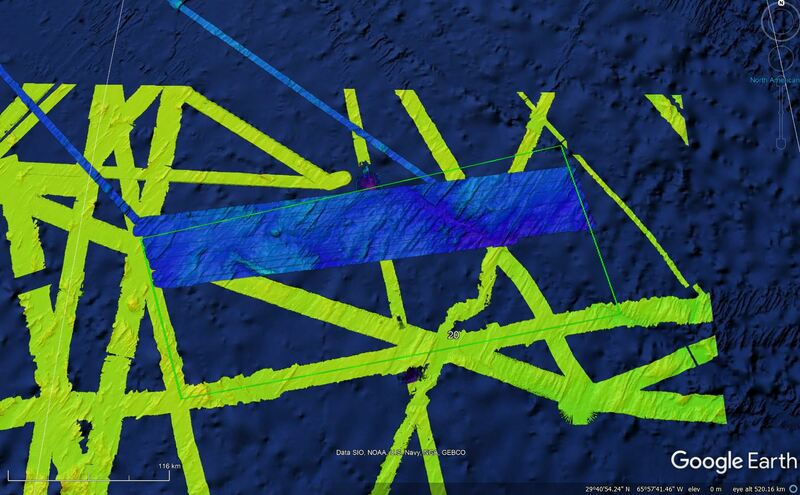 Since these vessels require 24/7 operations, many people worked very hard over the course of the expedition to ensure that everything was going as planned. 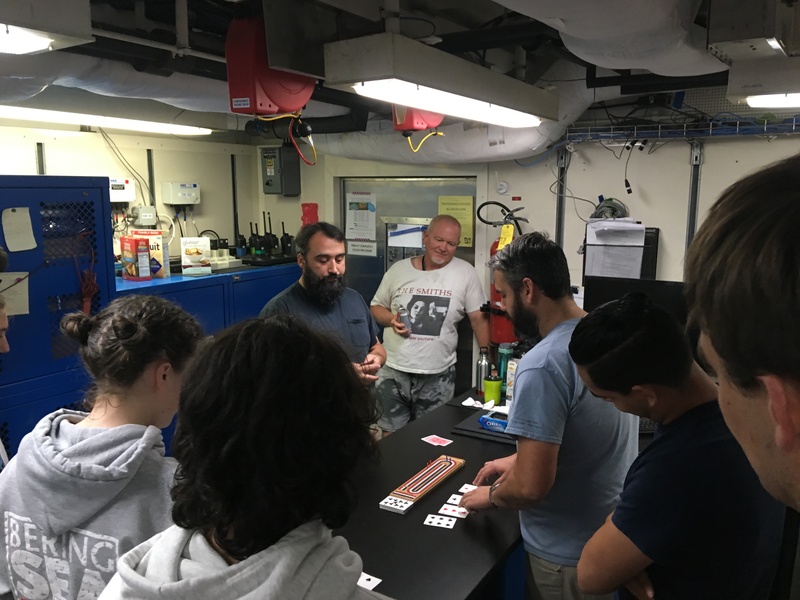 The crew, stewards, engineers, NOAA Officers, scientists, and explorers in training were very willing to share their knowledge, insights, and experiences. I respect their dedication and flexibility while at sea and I am very grateful to have met such awesome people! 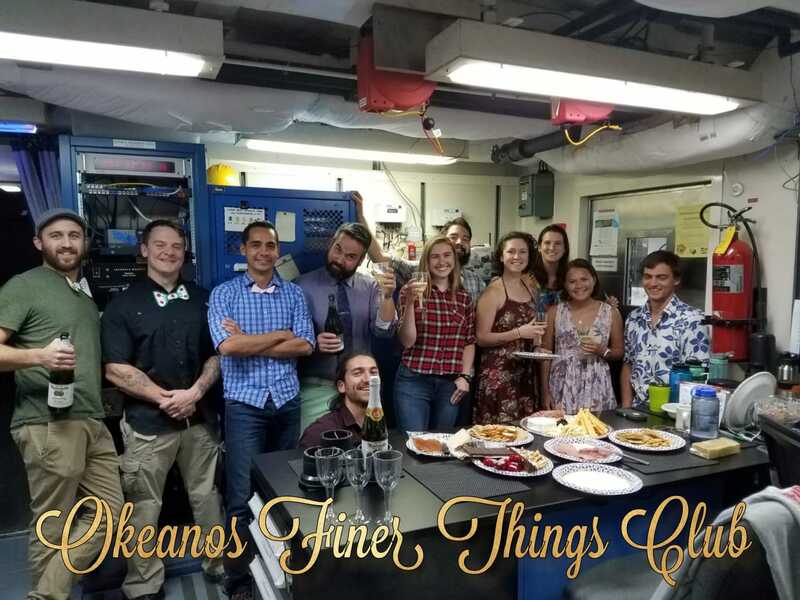 This experience was definitely one of the highlights of my teaching career and I am very inspired to know that no matter where in the world the Okeanos is located, everyone aboard is committed to understanding the wonders of the unknown ocean. 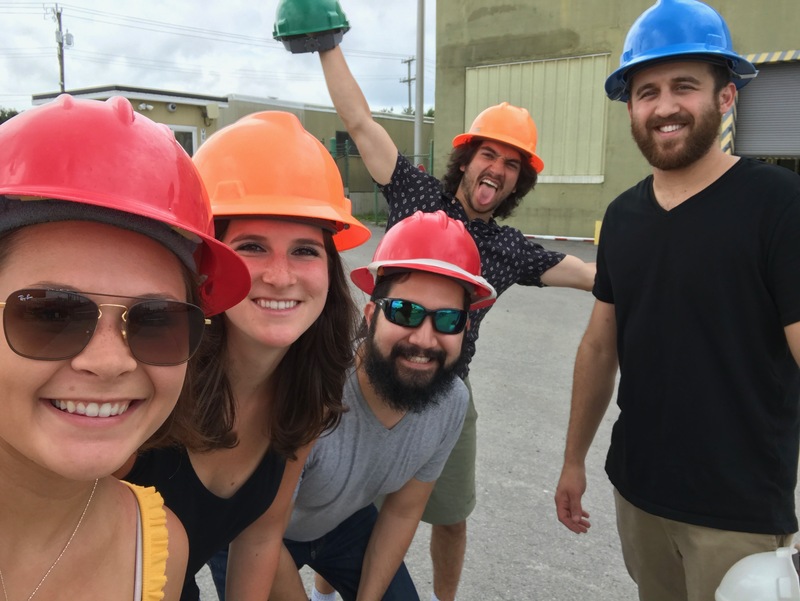 Some of the Mapping Team navigating the shipyard! 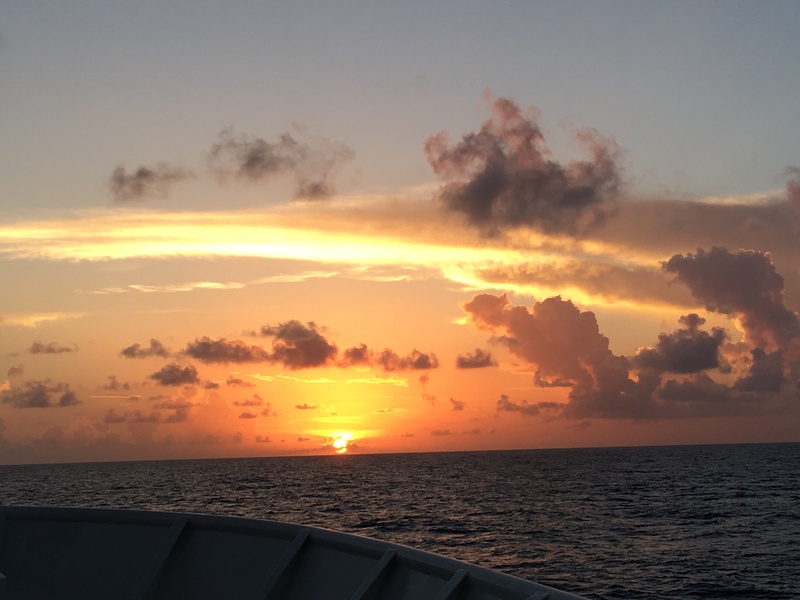 This photo of NOAA Ship Okeanos Explorer was snapped by the mother of one of the Senior Survey Techs! She was waiting for us to arrive the morning of the 31st and got this shot on the drawbridge! 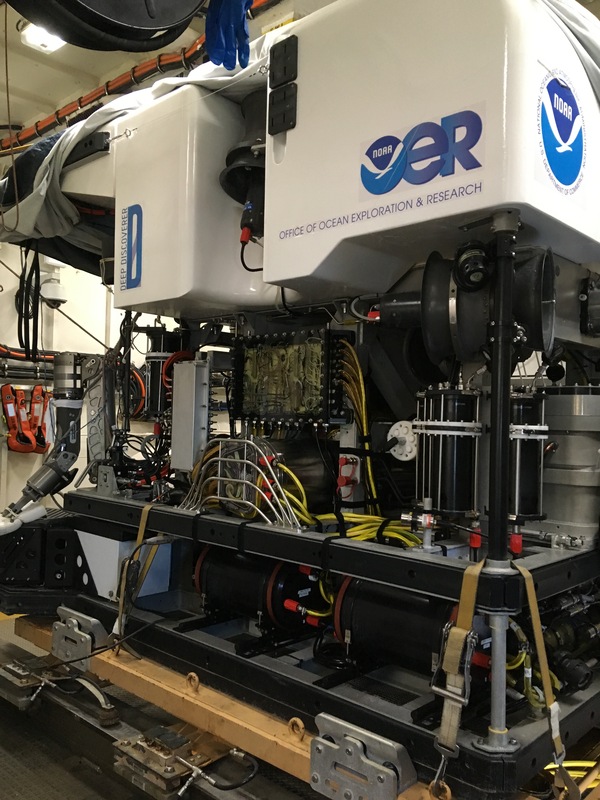 Although you would never guess it, Sid is the newest member of the Okeanos Explorer and has been working on the vessel since June 7th. He recently retired after sixteen years as an insurance agent specializing in business claim adjustments. Since his wife’s family is involved in the maritime industry, he thought it would be interesting to research potential post-retirement careers in this field. 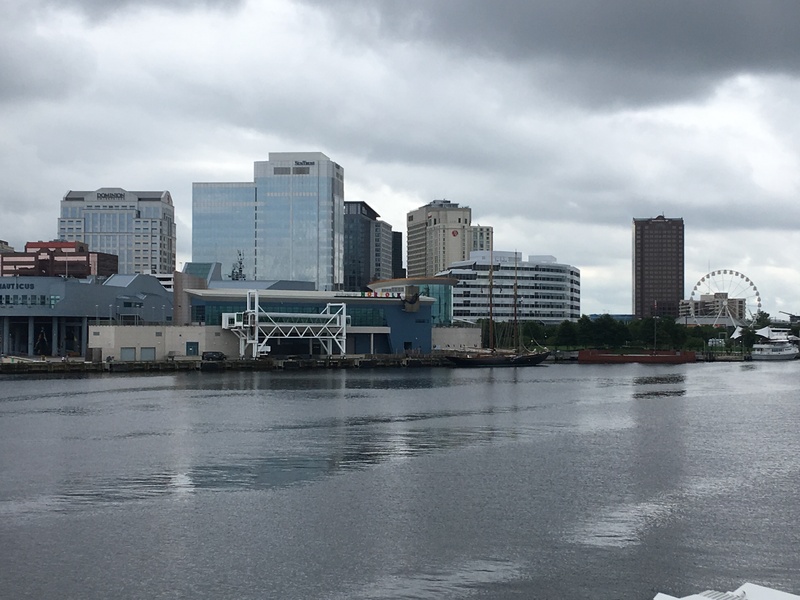 Sid began a 5-week training program at the Mid-Atlantic Maritime Academy. This institution is a highly respected, state-of-the-art maritime training center established for individuals who seek to enter a maritime profession. 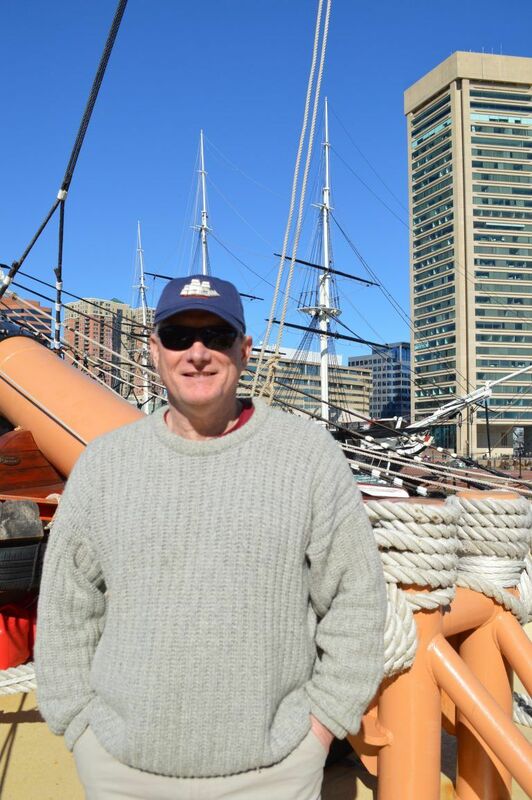 After his training period, Sid completed a two-month internship on the tall ship Oliver Hazard Perry in Rhode Island. Sid sailed from Newport, Rhode Island down to Galveston, Texas while on the Oliver Hazard Perry. Once he completed his training and internship, Sid was hired as part of the permanent crew aboard the Okeanos Explorer. 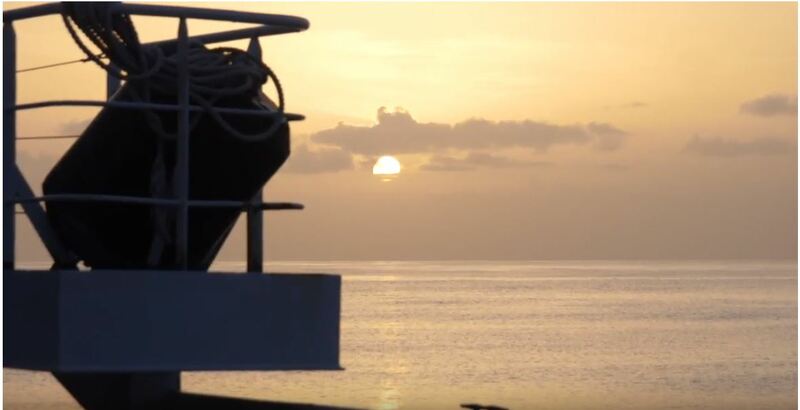 Sid is a General Vessel Assistant (GVA) and performs work in the deck and engine departments. He is responsible for standing watch two times per day. These watches are four hour time periods and aboard this cruise, he is scheduled from 0800-1200 and 2000-2400. During his watches, Sid performs rounds throughout the entire ship to ensure the safety of the vessel, completes routine maintenance, and stands watch on the bridge. 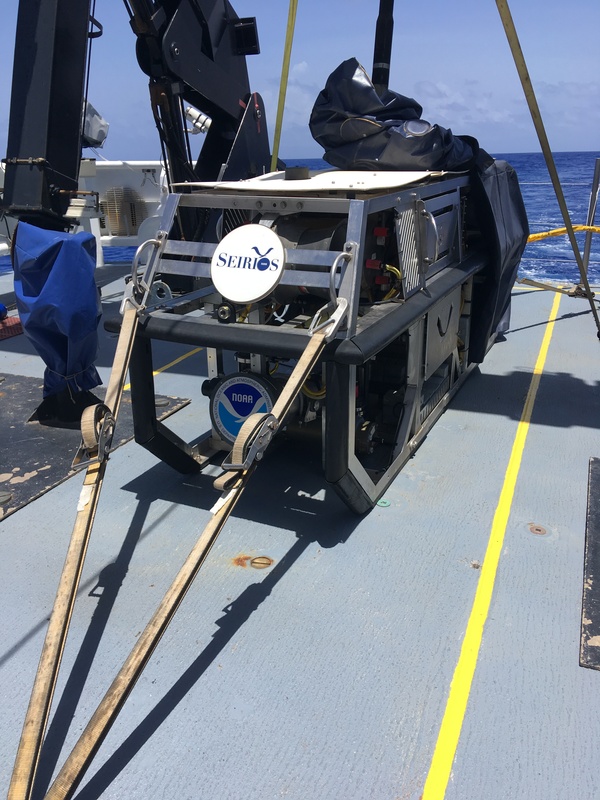 Sid really enjoys being out to sea and is excited to continue his new adventure on the Okeanos Explorer. 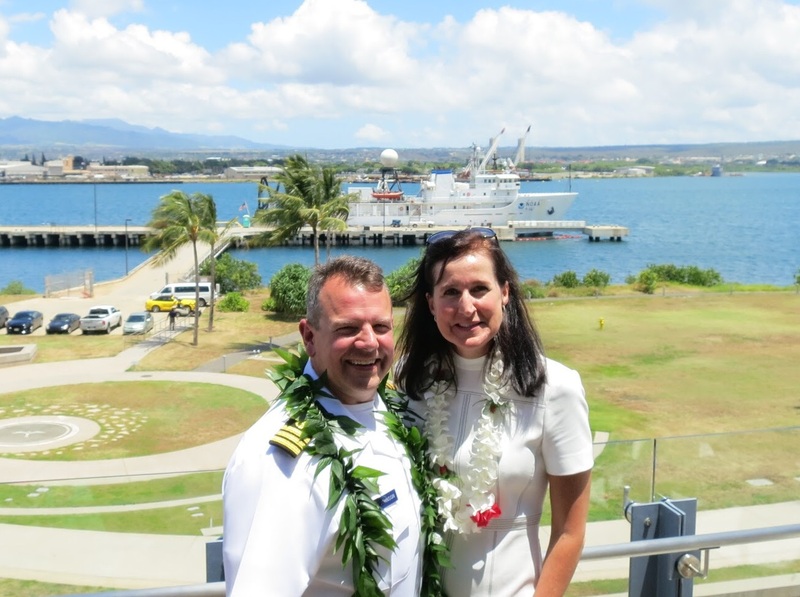 The National Oceanic and Atmospheric Association (NOAA) is built on three principles: science, service, and stewardship, and ENS Anna Hallingstad embodies all of these core values. 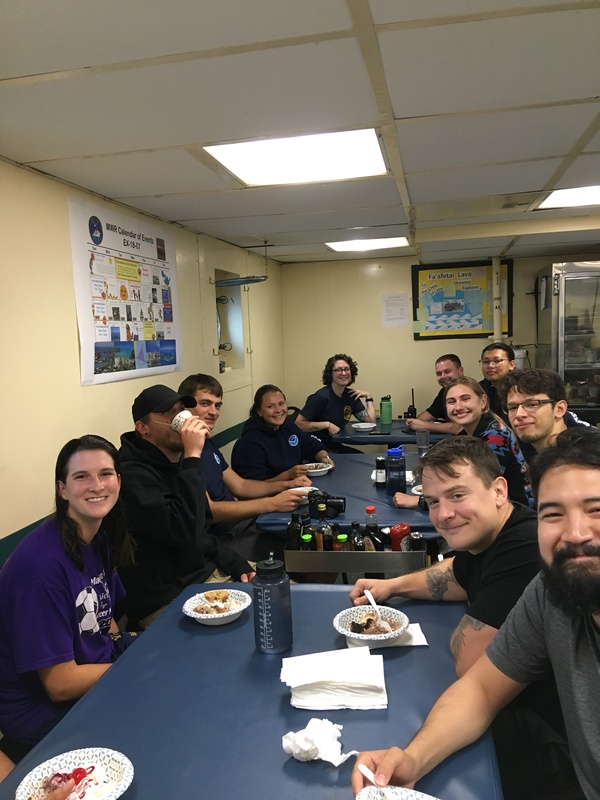 Anna is currently immersed in her first sea assignment aboard the Okeanos Explorer and has many different responsibilities as a NOAA Corps Officer. Anna has always been fascinated by the outdoors and enrolling in a Marine Science course in high school set her on a science track in college. After graduating high school, Anna completed an undergraduate and graduate career at Stanford University. 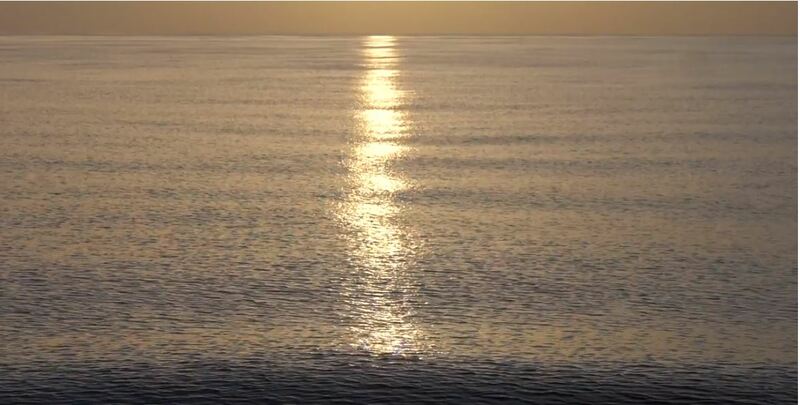 She majored in Earth Systems and focused particularly on ocean systems. Earth Systems was a unique interdisciplinary major that investigated the interactions of different ecological, geological, and human systems. Anna extended her learning outside of the traditional classroom environment by completing a quarter of classes at Hopkins Marine Station in Pacific Grove, California. She spent the fall quarter of her junior year studying abroad in Australia in collaboration with the University of Brisbane and Stanford. During the summer before her senior year, Anna participated in a 10-week Research Experience for Undergraduates (REU) through the National Science Foundation. Anna continued her studies at Stanford to earn her Masters in Earth Systems and focused on the human relationship with the ocean. Upon graduation, Anna did an AmeriCorps term by working for an urban forestry non-profit and was a volunteer for Salish Sea Stewards in Washington. 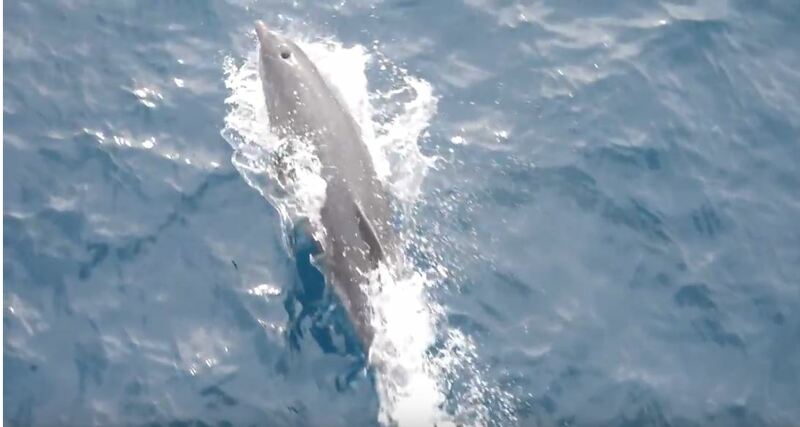 Anna also worked as the Harbor Porpoise Project Coordinator before applying and being accepted into NOAA’s Basic Officer Training Class (BOTC). 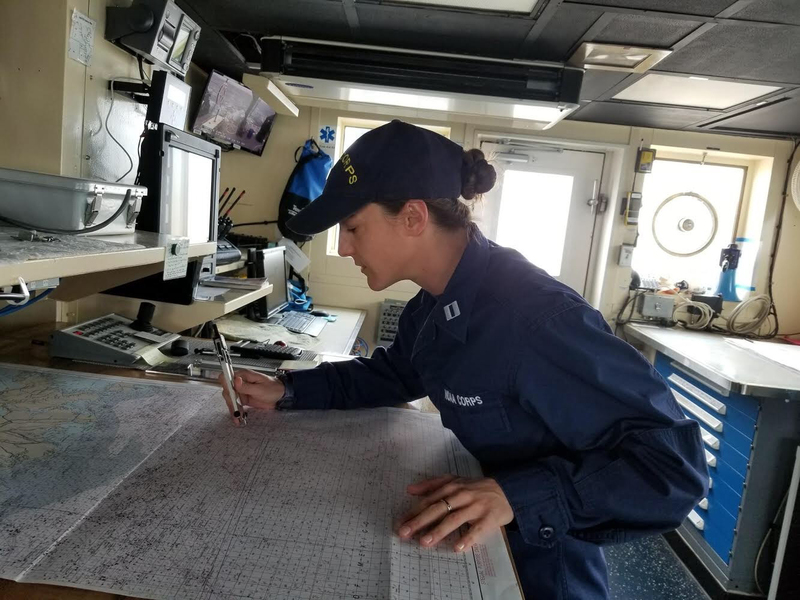 Anna had a desire to work for NOAA since she was young and began her 19-week training in January at the Coast Guard Academy in New London, Connecticut. Officer training school was an intense program that emphasized leadership, teamwork, seamanship, navigation, etc. 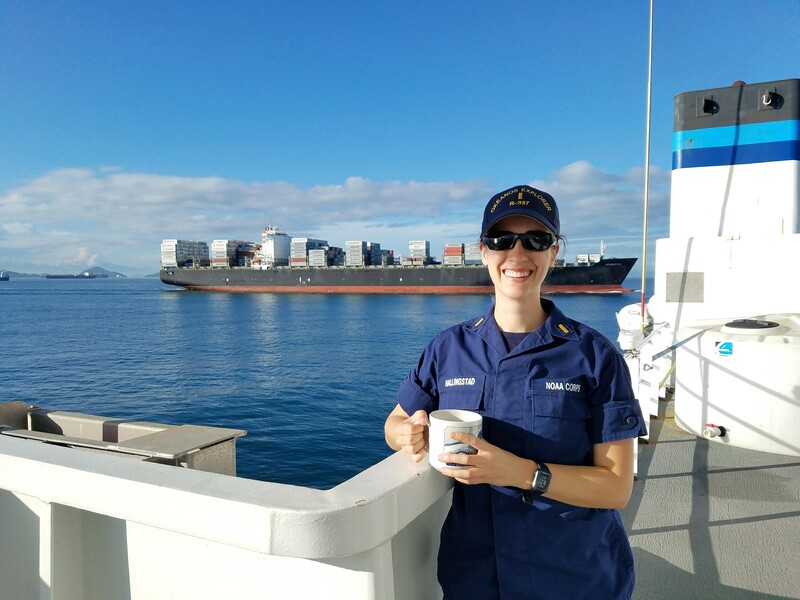 After graduating in May, Anna was shipped off to her first assignment in Honolulu, Hawaii and reported to the Okeanos Explorer in 2017. 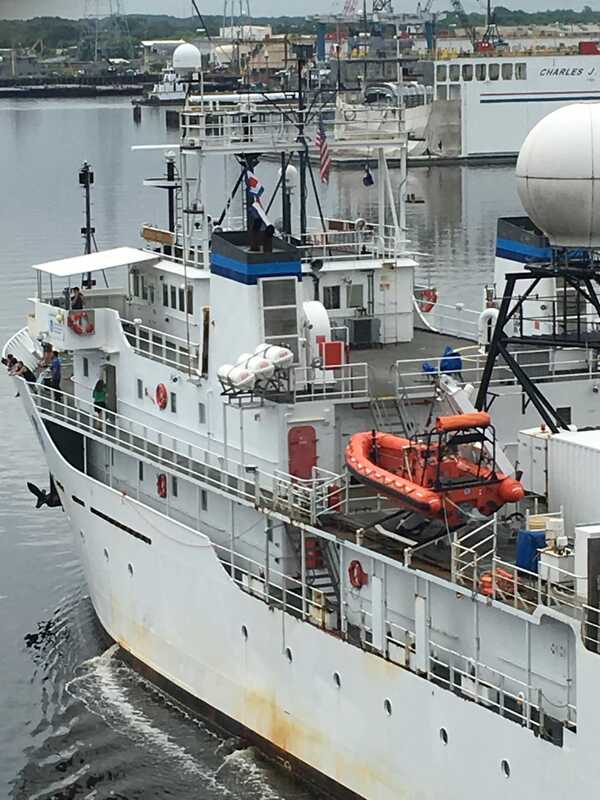 She will spend two years on the Okeanos Explorer until her three-year land assignment in Washington state. Anna wears many different hats aboard the Okeanos Explorer as the Morale, Safety, and Property Officer as well as a Purchase Card Holder and Diver. 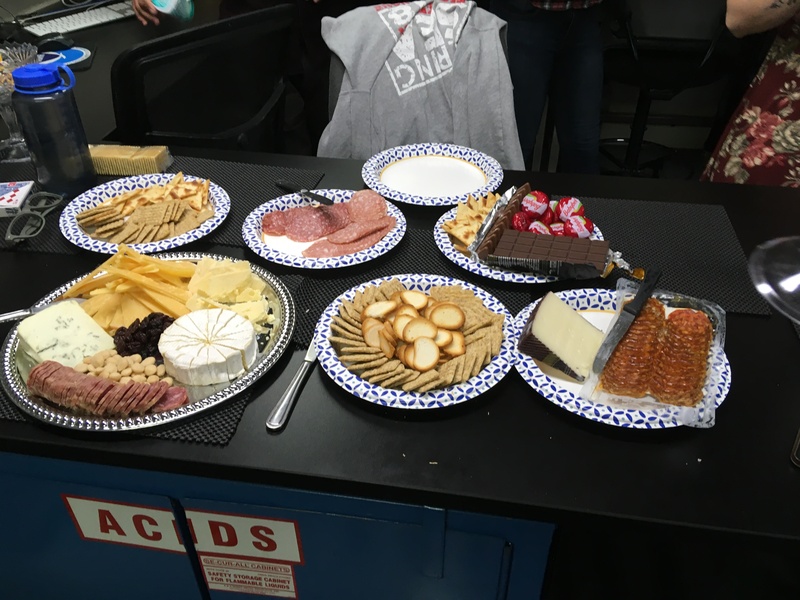 As the Morale Officer, she organizes events on aboard such as ice cream socials, cookouts, and cribbage tournaments. She really enjoys seeing everyone having a great time onboard. It can be very busy balancing all of these important responsibilities, but Anna believes that you shouldn’t shy away from difficult things. Having the confidence to tackle the unknown is a valuable life lesson and one that she abides by while at sea.